Weddings take the center stage in our lives, and everything has to be absolutely perfect. At Get Your Venue, we make sure each aspect of your wedding is taken care of, starting from the most important thing: the location of your wedding. 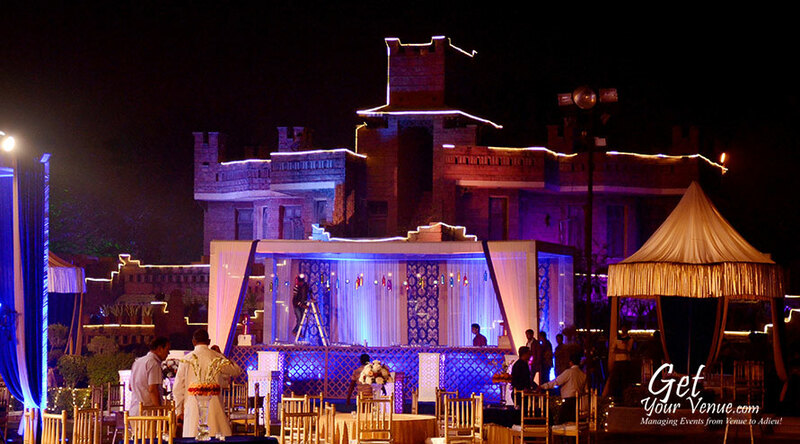 Wedding venues in South Delhi offer a lot of options, from location to backdrop to décor. So to make the process a little easier for you, we have compiled a list of the top wedding venues in South Delhi. 1. Tivoli Pushpanjali Tivoli Pushpanjali in Dwarka is located a mere 15 minutes from the airport. 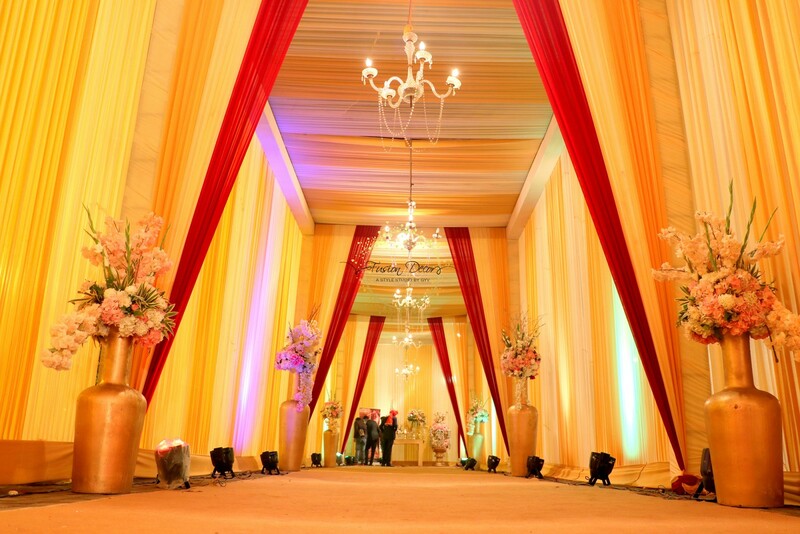 This beautiful venue has a vast open space that allows you to create any kind of décor you want for the wedding. From building a beautiful set to creating a floral wonderland, your wedding dreams can come true at Tivoli Pushpanjali. The venue also has an air-conditioned pandal. The most alluring aspect about this wedding venue is the heritage style décor and architecture, which lends an air of royalty to any wedding taking place here. The parking space holds up to 300 cars and the venue itself is 60,000 sq. ft.
2. 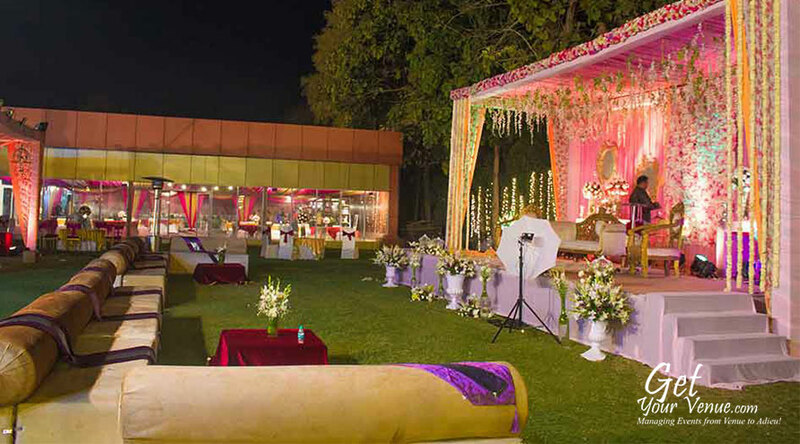 Manaktala Farm Manaktala Farm in Kapashera is one of the most sought after South Delhi wedding venues. The beautiful lawns offer an amazing backdrop for your wedding functions. Apart from that, the venue has an event management team, which can look after the entire wedding planning, from décor to food to managing each event. The venue offers 5 air-conditioned rooms along with valet parking services. A designer, waterproof pandal has been set up here for convenience of the guests. The venue has a parking space of 600 cars and the overall area is 25,000 sq. ft.
3. Aaradhya Farms Aaradhya Farms in Pushpanjali has the advantage of location, over other wedding farmhouses in South Delhi. Aaradhya Farms is located away from the hustle bustle of the city. The venue itself is surrounded by beautiful landscaping, offering guests the privacy they need to celebrate with friends and family. Along with premium catering services, the venue offers extraordinary hospitality. 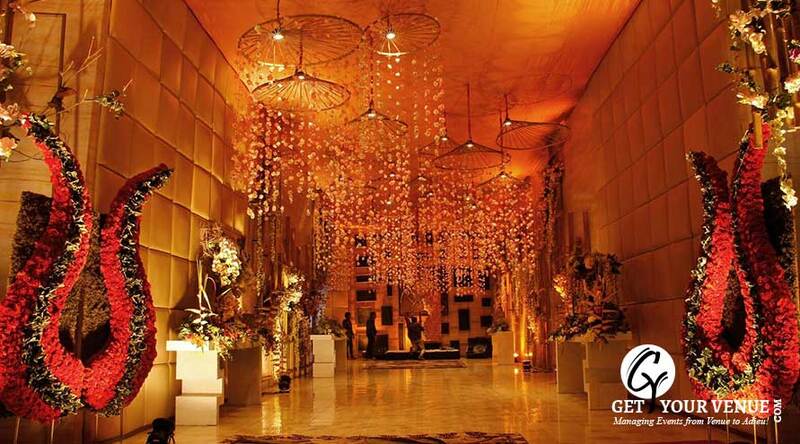 A designer pandal at the venue makes it much easier to decorate the way you want it to. With parking capacity of 150 cars and 40,000 sq. ft. area, the venue is perfect for all your wedding functions. 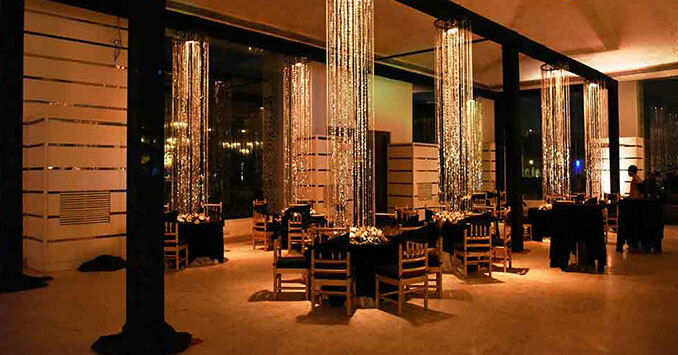 This luxury wedding venue is also located close to some premier shopping destinations in Gurgaon and Delhi. 4. Chhabra Farm A wedding venue with modern amenities? Yes, Chhabra Farm in Pushpanjali offers everything else and more for anyone planning their wedding in this location. One of the most luxurious wedding farmhouses in South Delhi, the venue offers 37 well-furnished, air-conditioned rooms, 300 car parking capacity, along with round the clock room service. You can also host a fun pool party during your wedding festivities at the swimming pool in Chhabra Farm, since the capacity of the venue is between 400 to 1000 people. 5. Kundan Farms The Kundan Farms by Fern in Kapashera is an exotic wedding venue spread over 22,000 sq. ft., located very close to the city and the airport. Now you don’t have to worry about guests making a long journey to the venue. A luxurious room is available on the property. Kundan Farms has a dedicated event management team that will look after your wedding festivities and make sure each event runs without a hitch, no matter what time of the day it is. The venue can hold up to 800 people. Amazing hospitality and service are why Kundan Farms ranks amongst the best South Delhi wedding venues. 6. 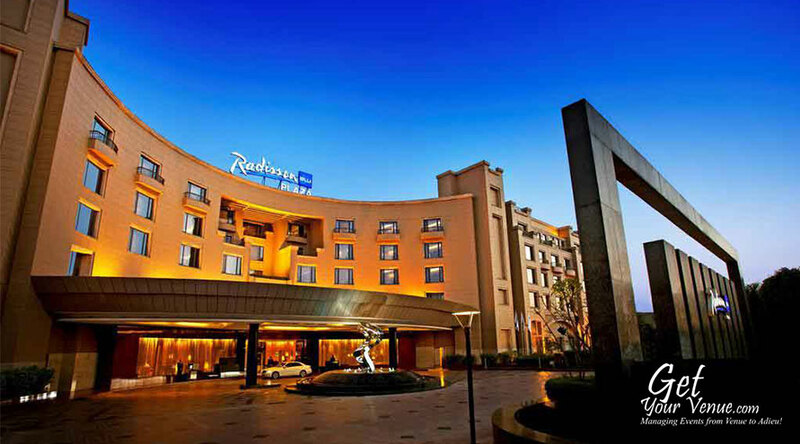 Radisson Blu Plaza, Mahipalpur Thinking of a wedding venue that offers everything from accommodation to event planning? Look no further than Radisson Blu Plaza in Mahipalpur. This modern hotel has 261 rooms, car parking capacity of 400 and an extensive catering venue. If you don’t want to worry about décor and planning the event, their event management team will gladly take it off your hands. With incredible hospitality, this venue is where you need to be to host a stress-free wedding. 7. Veda Farms Veda Farms in Bijwasan has two spacious air-conditioned pandals of 15000 sq. ft. & 30000 sq. ft. respectively for your wedding festivities. 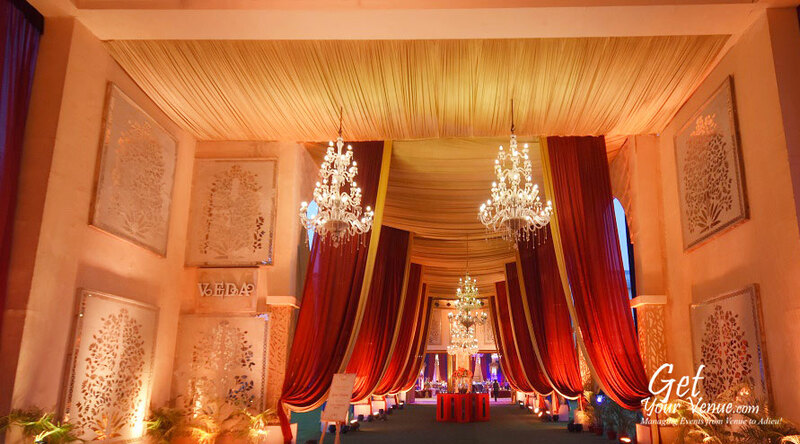 With exclusive amenities, valet parking service and a luxurious room for the use of guests, this venue is one of the top-rated wedding banquets in South Delhi. The location positions it close to the international and domestic airports, so accessibility is quite easy for guests, especially with a parking capacity of 400. 8. Balsons Farm Balsons Farm in Dwarka is the all in one venue that you can use to host all your wedding functions. The venue has an event management team that offers personalized wedding planning services. The team takes care of everything while you get to enjoy some of the best moments of your life with extended friends and family, since the venue has a capacity of 1200 people. With a ton of modern amenities, exclusive valet parking services that holds up to 300 cars, and proximity to the airport, this venue ranks among the top wedding venues in south Delhi. 9. 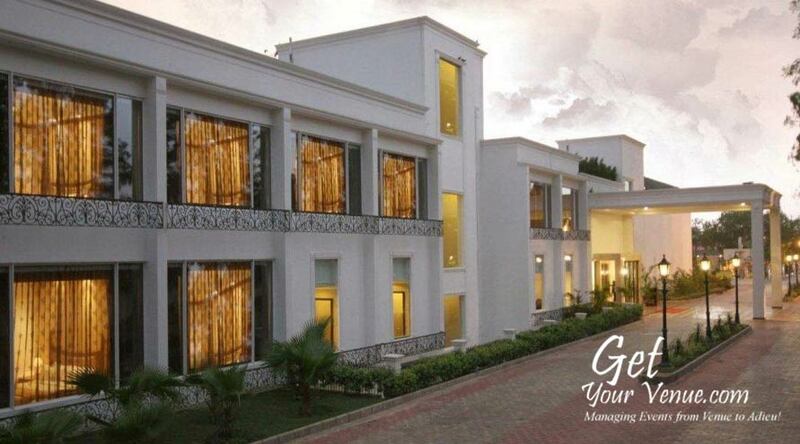 Country Inn, Chhatarpur Country Inn in Chhatarpur is a wedding venue with exclusive modern amenities. Valet parking with a capacity of 600 cars, 24-hour room service, 30 rooms for guests, and its proximity to the airport is why guests prefer this location to host wedding functions. You can choose from indoor and outdoor wedding venues, which have a capacity of 200-500 guests. One of the most unique aspects of hosting events at country Inn is that they allow outdoor catering for your events as well. The amazing array of amenities and facilities at this wedding venue make it a favorite amongst couples. 10. Opulent Motel Looking for a gorgeous wedding venue not too far from the city? Opulent Motel in Chhatarpur is the location you are looking for. Guests have access to 23 well-furnished rooms and 24-hour room service. For your wedding functions, the venue offers décor and catering services, both personalized according to your requirements. The venue offers outdoor and indoor locations, spread over 40,000 sq.ft., to host your functions, so you can have the wedding of your dreams. Choosing a wedding venue is the first step towards planning your wedding. If you get this step right, the rest of the planning will be a comfortable sail through. 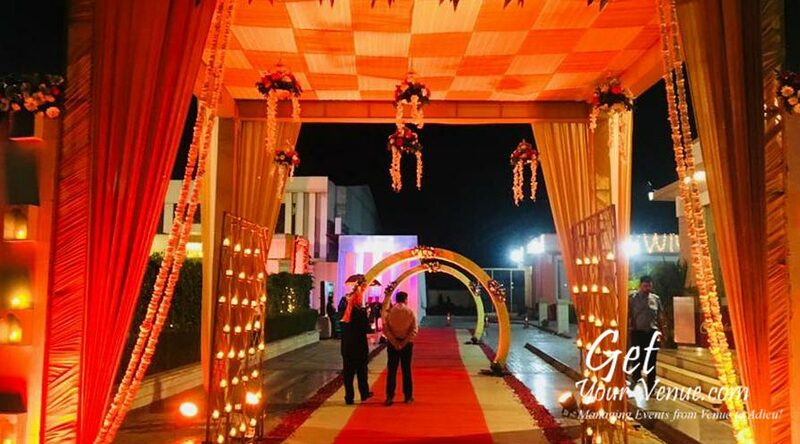 These wedding banquets in South Delhi and wedding farmhouses in South Delhi are comfortable, convenient and offer incredible services, so start browsing with us at www.getyourvenue.com. We have got your back! !